Fantastic advice Bob! Thanks for all the help here! 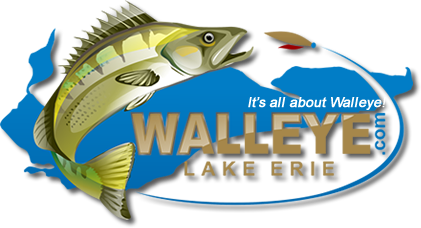 I myself being the rookie walleye guy, appreciate all the helpful information you guys share. This is a great forum and great people. Hope to see you guys on the water soon!!! Thank you Bob for the advice on what you use for the casting and trolling situations. Ur welcome guys.I have bought and tried a lot of different color blades over the years and the #4 hammered gold Colorado with a lip always outfishes everything else when casting.I have read reports from CoVanna where a copper blade worked better for them,I've tried them but they have not outfishef my gold.You should see the bag of different colors #4 Colorado I have bought and don't use.I really do not know why the different color blades work better for trolling though.Our go to colors we start for trolling is a #5 purple boxer Colorado with copper back.The color on front is purple with several black dots and a small corner color of chartreuse.We also will run half double willow blades.The best color willows have been antifreeze color on front and back with some orange in it.Another willow color that works is a purple front with a pink back.Yeah,getting the itch to get out fishing again.Oh yeah,the harness bite usually starts when the water temp reach 50 degrees.That usually happens during the first half of May.So hoping we have some stable spring weather this year that doesn't muddy up the water.When we finished our season casting in October last year,those 2015 fish were finally averaging 2lbs a fish.This year,I'm thinking they will be between 4-2lbs in size.Perfect size. Once again Bob, I took notes on those blades. I am going to get some of those blades you said you have had good success with. I have bought those custom painted blades at fisherman's wharf in downtown Port Clinton.Bet they have a pretty good selection since last season was a better spoon bite. Gold and red beads are my favorite with the gold blades. I also use red hooks on almost all of the harnesses. Just a personal preference but they've always worked so never felt the need to change. I forgot to mention that I bought some Cabela's holographic Colorado blades in Red Flame pattern and they have been almost as good as the gold. I tie them with a mix of purple, orange and pink beads (thanks to my wife for her love of color-coordinating) and the walleye love them but I don't catch very much junk with them. I also have some of them in firetiger but all I seem to catch with that color is white bass. They're also pretty cheap compared to some of the custom blades, you get 5 for $2.49.